We are always doing crafts here! This Sea Poster is an easy craft and also fun to do with the kids. It can be for boys or girls, so every young child can have some fun here. We got this idea from our daughter’s book Disney Year Book 2007, not sure that the book is still available for purchase and it is mostly a story book. But this little project was in there and it caught our daughter’s attention and she really wanted to do this. You probably already have most of the supplies for this in your house. 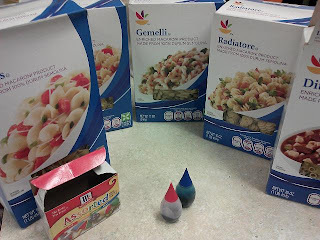 We used a big piece of construction paper, different shapes of pasta (which was the only thing we had to buy so we had more shapes), rice, glue and food coloring. You can use marker to color the pasta if you do not have food coloring. First we picked out the different pastas we wanted to use for our sea creatures. 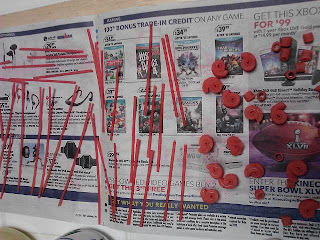 Then we colored the pasta so it had a few minutes to dry before using. 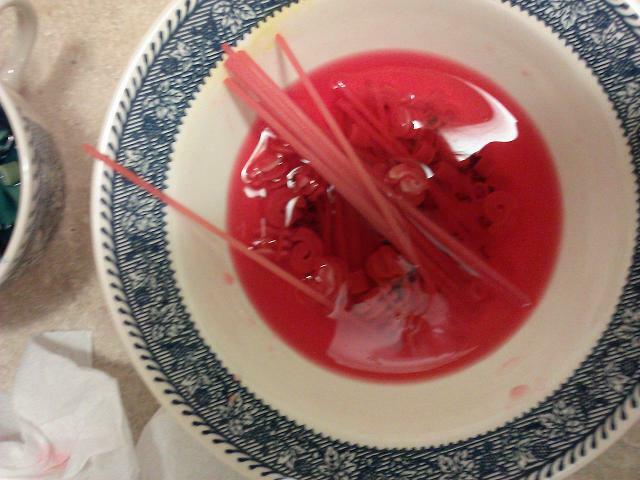 To color the pasta, we used a few drops of food coloring in with about a cup of water. Drop the pasta into the colored water and it starts to turn colors almost immediately. We didn’t keep it in the colored water for more the 3 minutes. 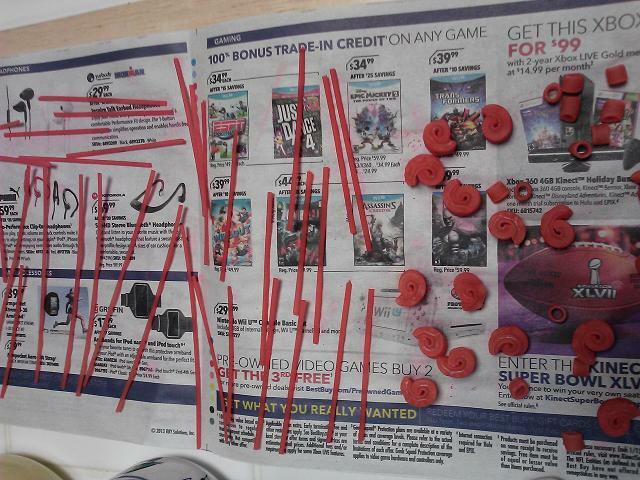 We let them dry on newspaper, tho I noticed that some of the pasta was sticking to the paper a little bit once dried. Not bad tho and it was usable. 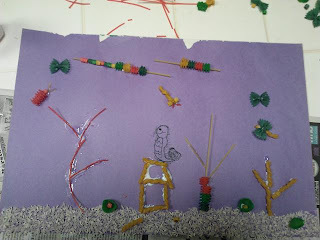 While the noodles were drying, we took our Crayola (or Elmer’s works just as good) glue and spread a 2 inch strip of glue (yup with my fingers) across the bottom of the construction paper. With the glue wet, take handfuls of rice and sprinkle it onto the glue strip. Press the rice down so you get a good amount sticking for your sand. Once your colored pasta is dry, you are ready to start creating any sea creatures you would like to make! Carefully glue the pasta where you would like the creatures. I noticed that the noodles were a little more fragile, probably from sitting in water and then drying. You know we love craft time here! We haven't done anything with pasta lately; definitely need to get it out and start playing again soon! I think we still have penguin shaped pasta from Christmas…. Bet you can make some cool pictures with penguin shaped pasta!